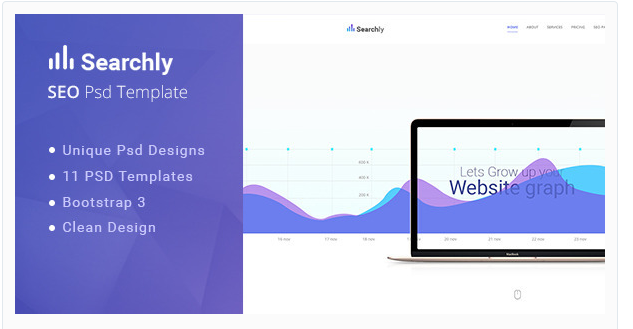 In today’s post we have listed out 50+ Business Technology PSD Templates for Website modern and very easy to customize according to your needs have 100 of features included with layer wise. 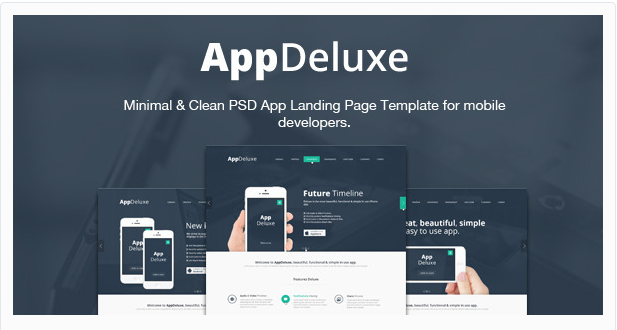 We have been searching too for best technology PSD for our website and found that there are many premium themes which looks awesome and very easy to modify and customize full guidance with layer wise is given. It will save your lots of hour also gives your best idea to start your design. Hope you love this PSD Design and like our post we tried our best to list this out for you. 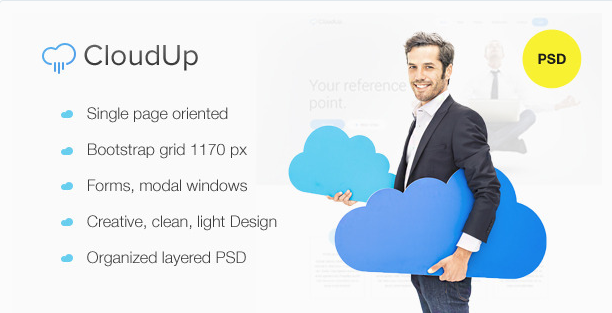 CloudUp – single page oriented template with pretty clean and modern design. Created – special for cloud and hosting services. Has many functional blocks, including modal windows, pricing tables, dropdowns and many other cool items. 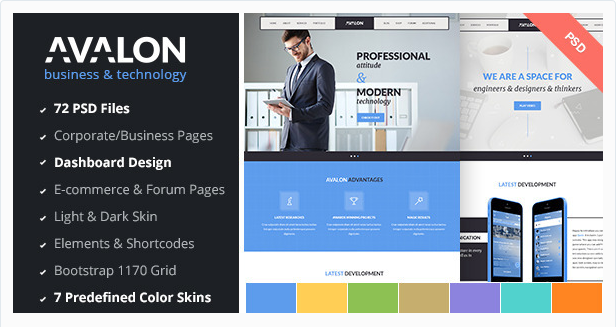 Avalon is a pixel perfect, clean and multipurpose PSD template. Avalon has unique and modern design. This template is fully editable and can be easily customized due to your needs. 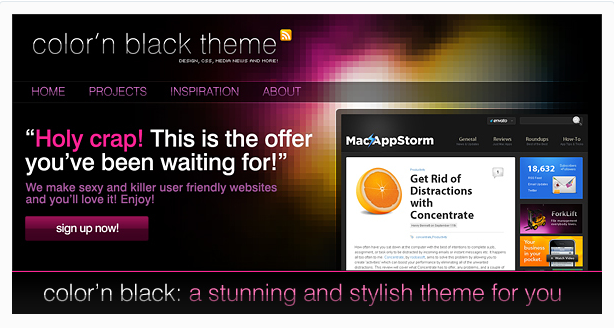 Color’n Black is a modern, elegant black theme. Stunning colors and contrast. Perfect for photographs and modern companies and products. 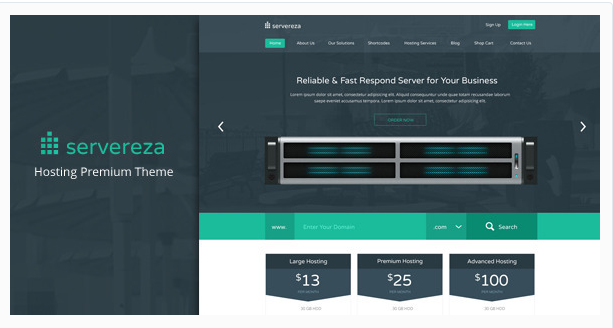 Servereza is a premium unique and creative PSD template perfect for a hosting business or anything in between. 11 total PSD files! Its loaded with options. 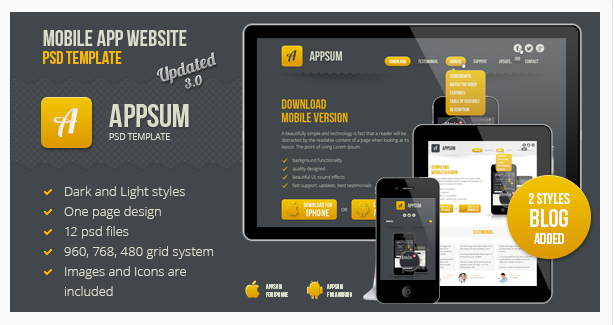 Appsum is a clean, responsive PSD template suitable for mobile APP web site. 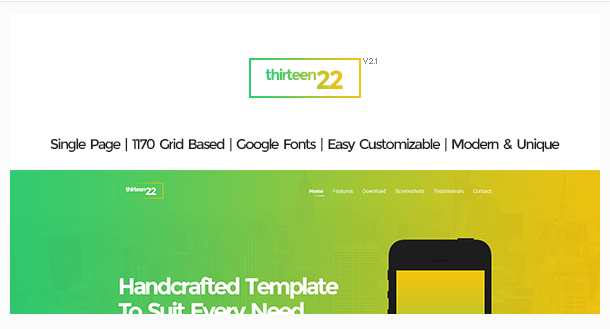 Easy-to-use Onepage design. 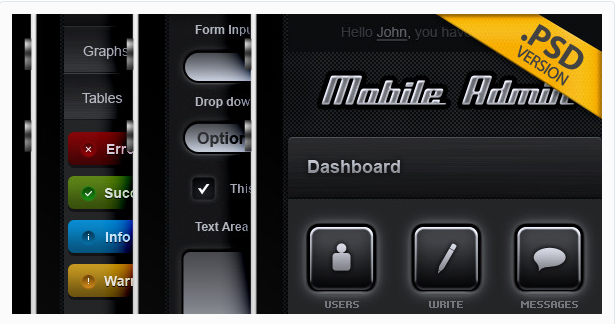 It is good for agencies that develop mobile applications. Check out the screenshots to see styles. 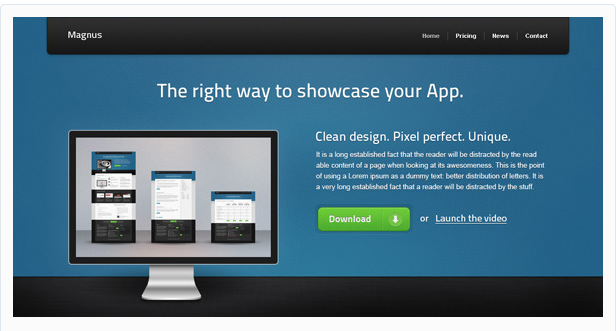 Blueapps is a clean PSD file to showcase your product or services. It comes with 5 different pages of Home, Features, Pricing, Contact and Login. 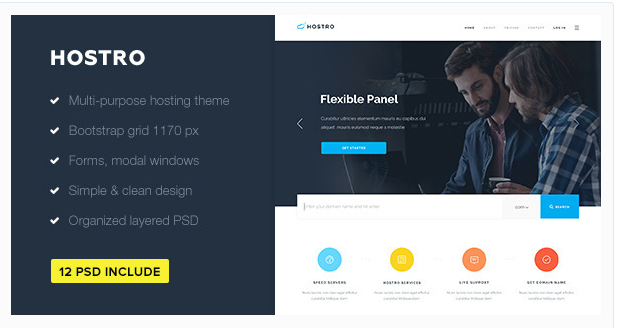 Hostro – multi page oriented template with pretty clean and modern design. Created – special for cloud and hosting services. Has many functional blocks, including modal windows, pricing tables, dropdowns and many other cool items. 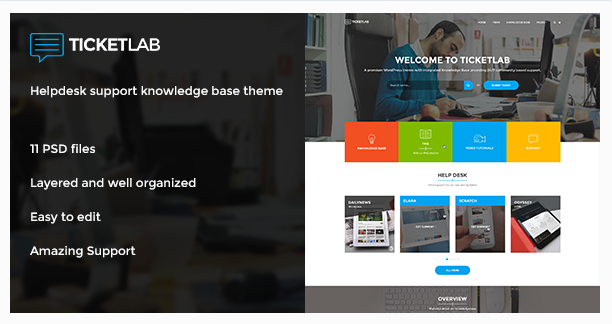 TicketLab – Helpdesk, Support, and Knowledge Base PSD Template is most effectide and fully responsive. It is used in various websites. 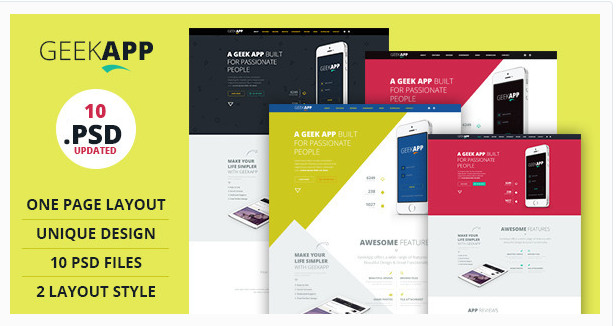 AppBox is a Mobile App / Product / Startup Responsive Landing Page PSD Template with clean and modern style & design. 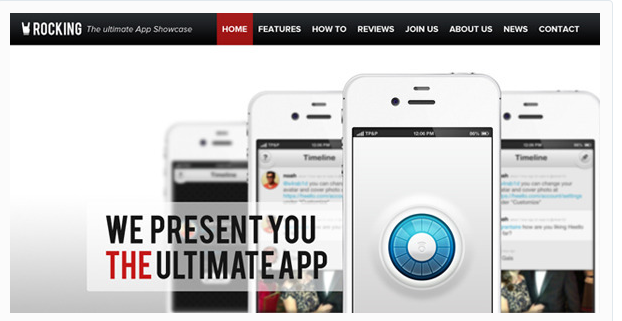 It includes App / Product Features, Reviews, Showcase, Video Demo, Support, Blog, Contact and Shop / Online AppStore pages. 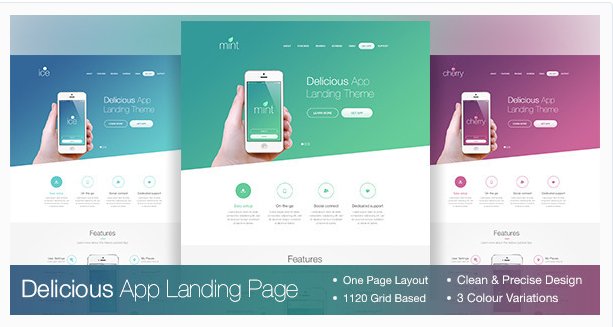 Minimal & Clean PSD App Landing Page Template for mobile developers. 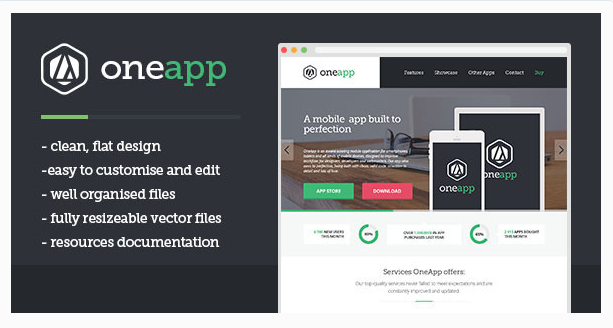 OneApp is a flat one-page template for showcasing your app, product or service. It features a clean, airy design with incredible symmetry and geometric balance. 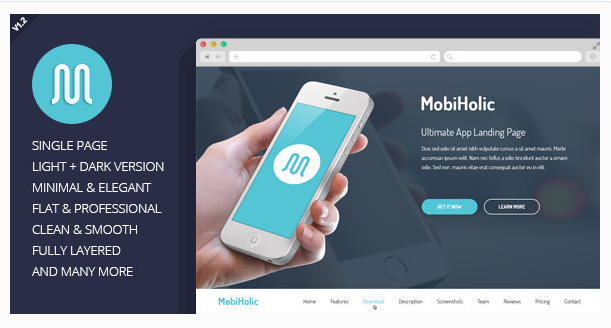 Appmove is purely designed for showcasing your mobile or web app. 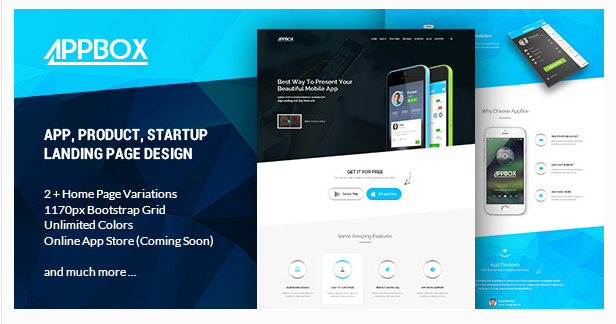 It is equiped with multiple shortcodes, abudent styles, clear design with the neutal colour scheme and simple line which is suitable for all type of app. 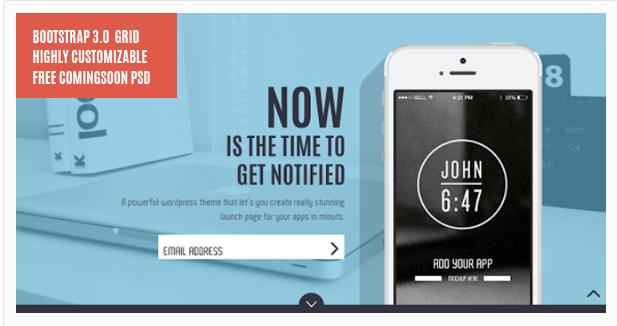 Each and every pixel of 1322 is handcrafted to suit every need of an app landing page. The design is clean, modern, unique & easy customizable. The layers are named and grouped logically and that makes editing easier. 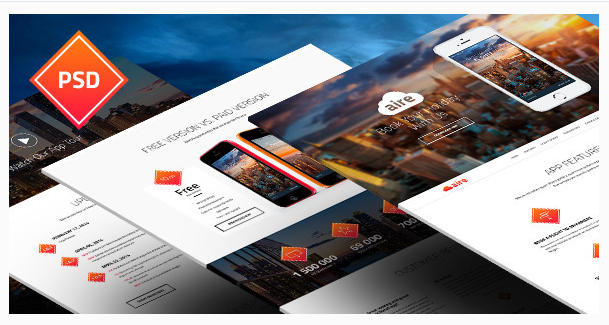 Vertex is the perfect way for any business or firm to display their app. 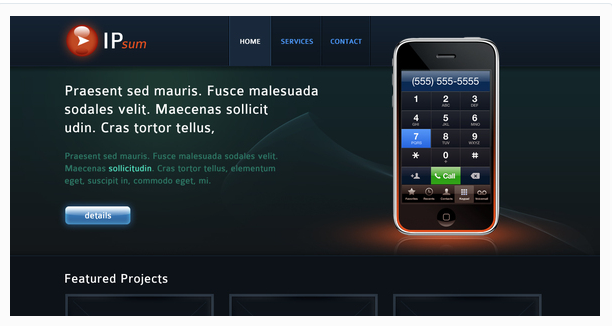 It is also suitable for general design firm and portfolio websites. 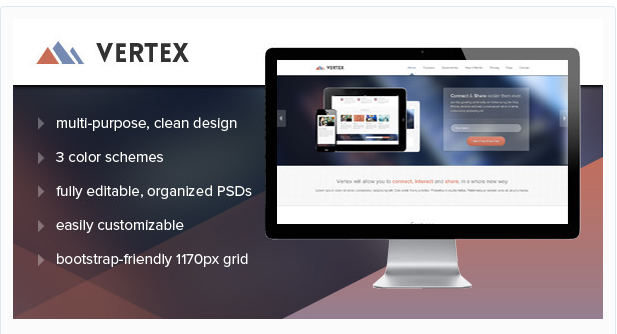 Vertex comes with three unique slider variations and three unique color schemes. 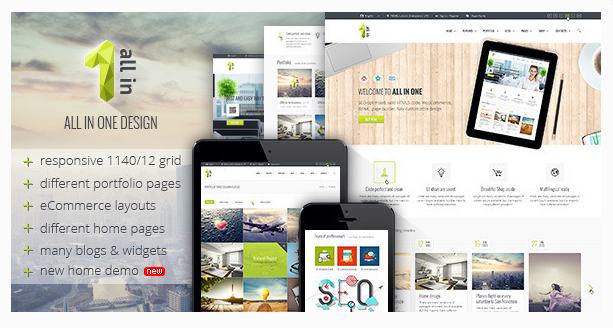 This theme is exclusively made for SEO industries. 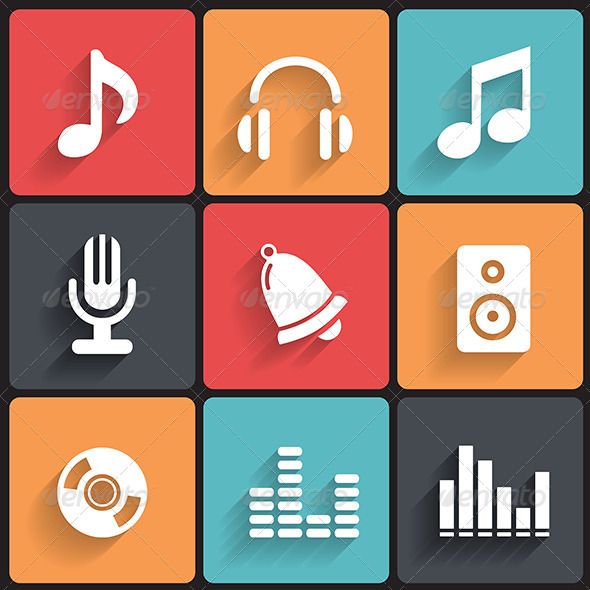 But those who want to use this theme for their business, can easily modify this theme according to their own requirements. 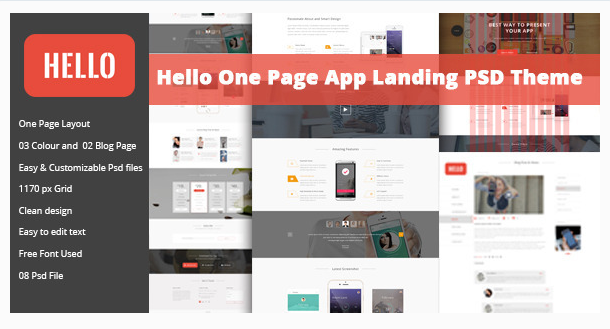 One Page App Landing PhotoShop PSD with clean and modern style one page design. 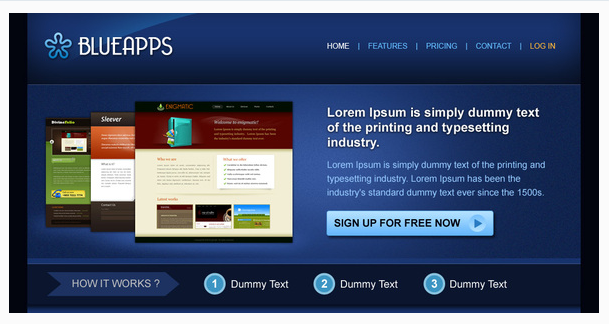 This template design includes features, reviews, screen showcase, support contact and more. 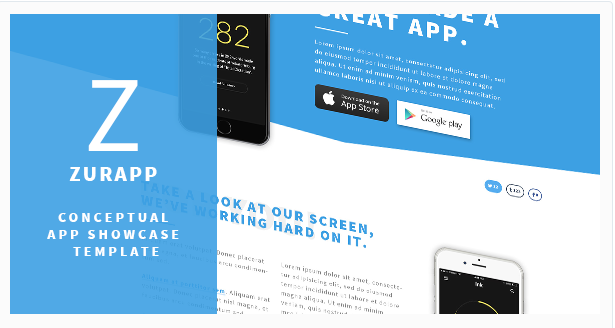 Modern app showcase template ZurApp was created to highlight the features of your product. ZurApp is great for small startups as well as for mature businesses. 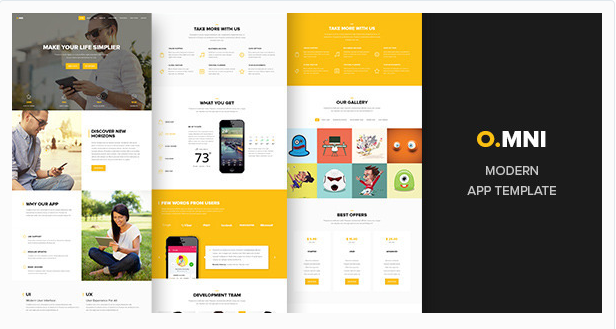 Omni is a onepage creative templates designed in a clear and modern style. Perfectly suits for applications, devices, software, development, promo companies and for landing pages as well. 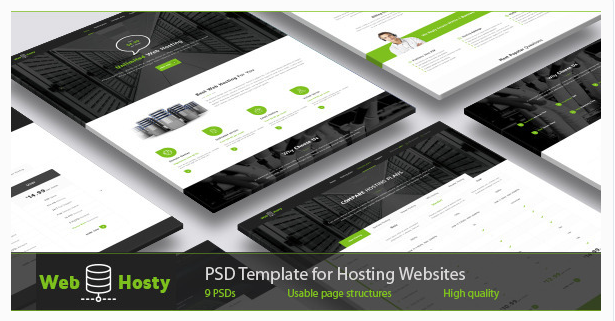 WebHosty is a sweet, modern and creative psd template for Hosting, Saas Websites and other similar nature of websites. The psd files are fully layered and customizable. All elements in groups and can easily identify by the group name as well. 1. APP Showcase page. 2. 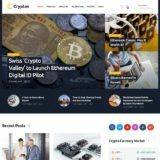 Launch page for your company. 3. single page portfolio website. 4. Online CV or Resume. 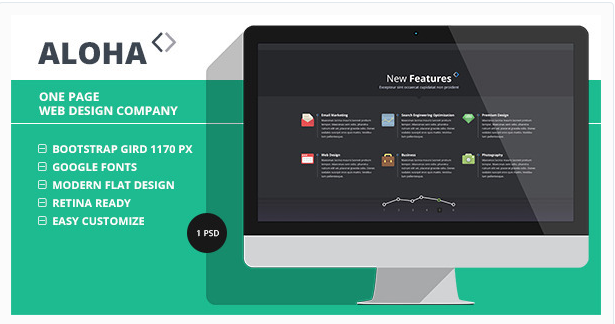 As a Bonus you get a FULLY EDITABLE PSD for Coming Soon / Maintenance /Under Construction page. Features: Focus on getting more Subscription, Text section which can be used for About us or Intro, Testimonials slider, Text or image slider, Contact us with or without google map. 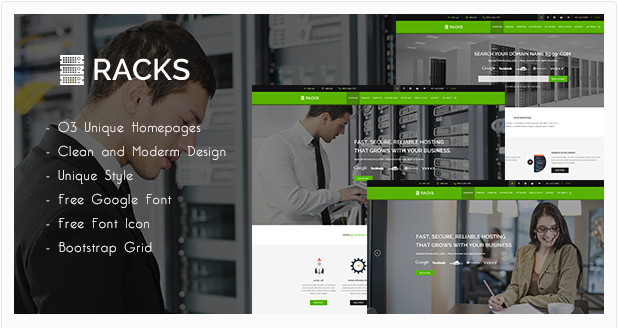 Smart Host is a clean, modern web hosting and server businesses theme. 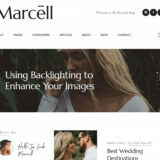 This theme also can be used for corporate, business and company sites. 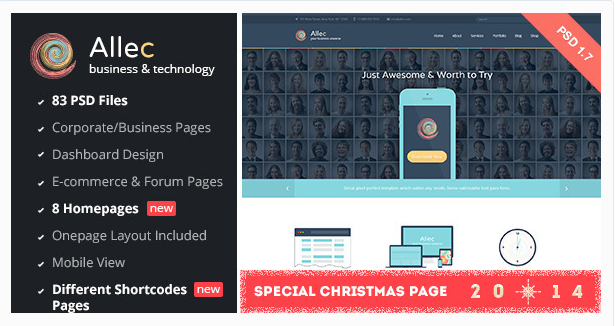 Allec is a business & technology PSD template. It’s a perfect combination of modern design and unique authentic look. Allec is designed with the flat concept with muted color scheme in mind. 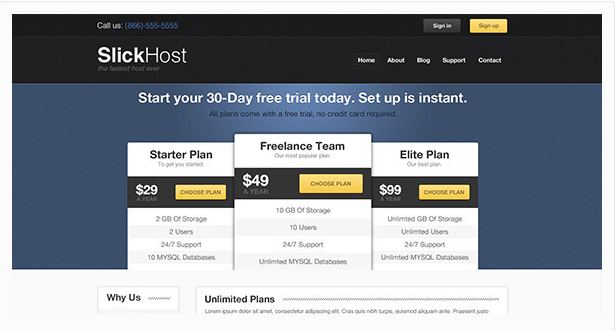 SlickHost brings a clean and minimal approach to web hosting. Why confuse your customers with tons of options when all they want to do is buy hosting? 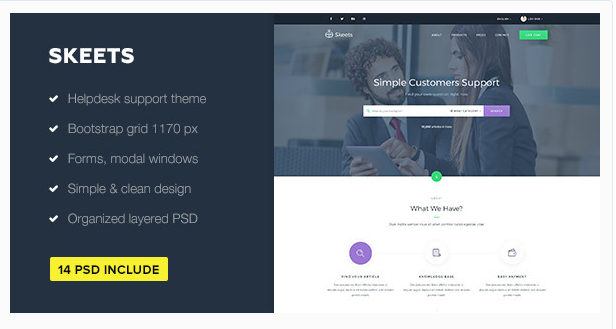 Dizplay is a clean, single page and multi purpose (business & technology) PSD template. Perfect for individuals, entrepreneurs, startups, agencies and businesses who are looking to showcase their. A Mobile App Landing PhotoShop PSD Theme with clean and modern style one page design. 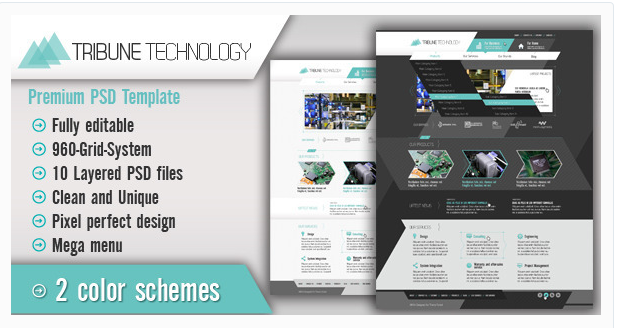 This template design includes features, reviews, screen showcase, video demo, support contact and more. 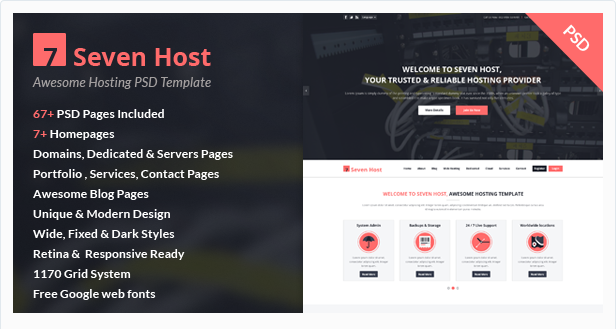 Seven Host is a clean , modern and creative Hosting PSD Template for your Web Hosting Business, a creative agency, Technology Websites or any company website. Fuly Editable PSD Web Template, Based on a 960-Grid-System, 12 columns For more info, click here, Clean and Unique design, Designed with pixel perfection and clean shapes, so it can be easily and fully editable.It’s a technique and futuristic solution for Business, Corporate and Personal web projects. 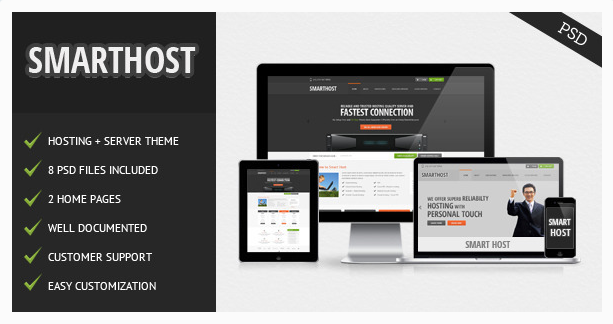 Hosting, Application or Software promotion PSD Theme. Clean and Flexible design also suitable for multipurpose websites. We will add more variations soon. 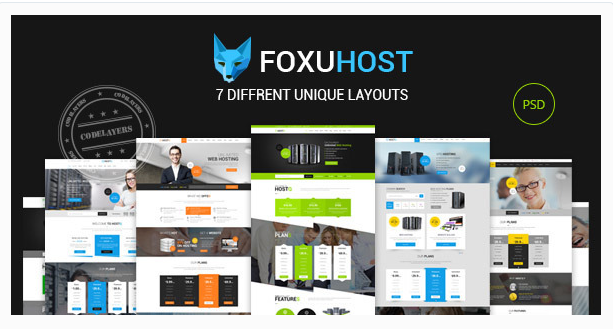 Foxuhost is a Pixel Perfect Hosting and Multipurpose PSD template with 62 fully layered PSD files for Hosting, business, agency, portfolio, creative and other websites. 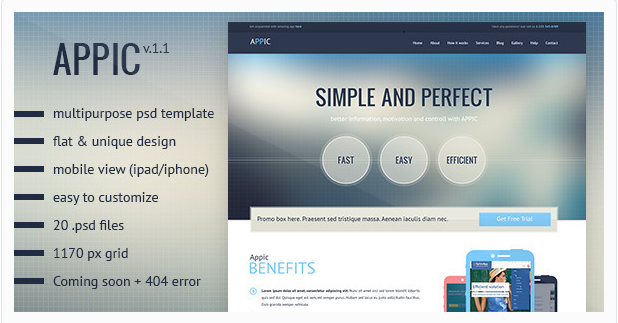 Appic is a pixel perfect, clean and multipurpose psd template. It can be used like a corporate website and site to present different sort of application. Appic has responsive layout and unique modern design. 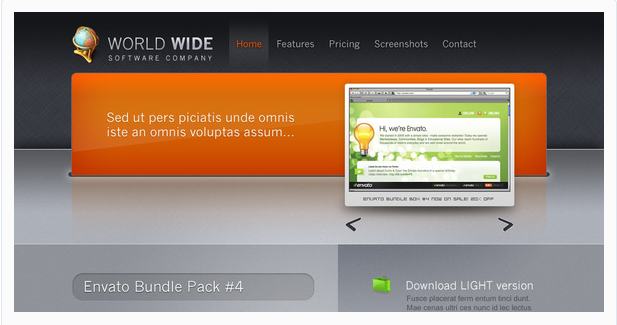 This time i present you “World Wide” clean portfolio website template. Package includes 5 PSD (full site) templates and 5 high quality jpgs. Templates are designed using 960 grid system (16 colons). 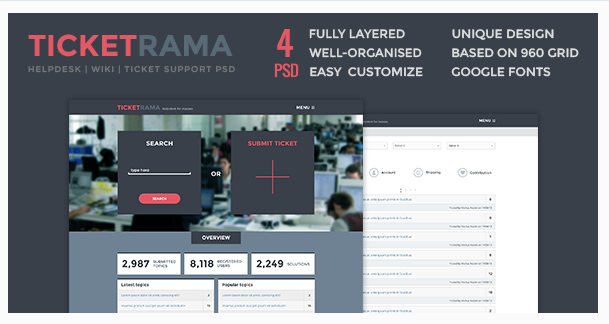 OptimApp is pixel perfect, clean and multipurpose psd template. It can be used like corporate site and site to present different sort of application. 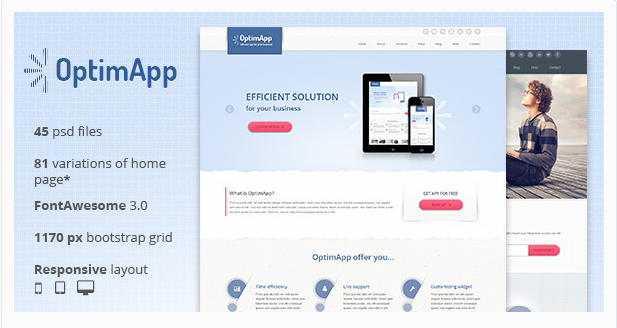 OptimApp has responsive layout and unique modern design. 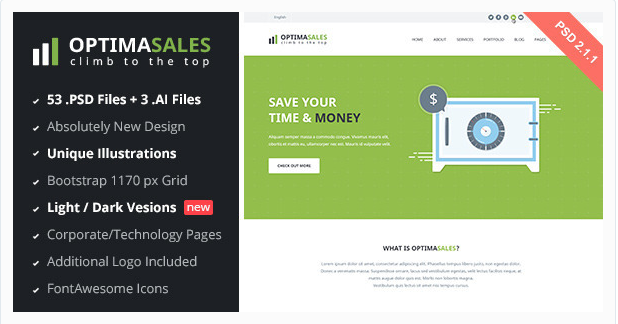 OptimaSales is a pixel perfect and clean PSD template created with modern technology in mind. 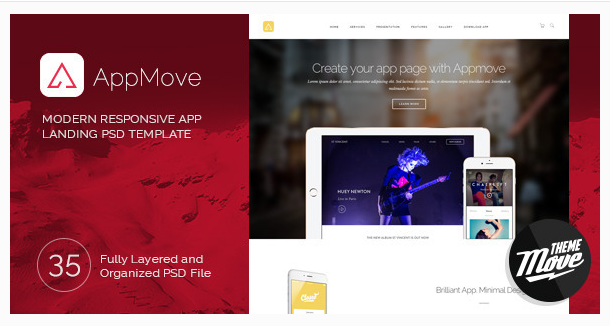 This template contains of 24 PSD files and 3 AI files. You’ll get all possible ways to edit it and customize due to your needs. This is a mobile admin website , perfect for an application developer that wants to catch the attention of everyone with a smartphone. By using a Java Script accordion (Spry or Jquery) you can easily optimize the space of the small screen and add atractive animations . Business Electronics Website Layout – best for highlight your producs. 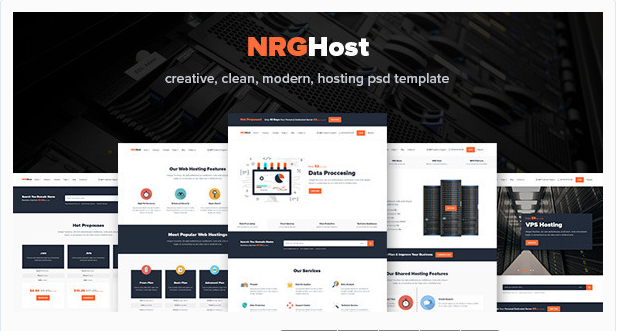 NRGhost is a powerfull, modern and creative psd template for Hosting, Saas Websites and other similar nature of websites. The psd files are fully layered and customizable. 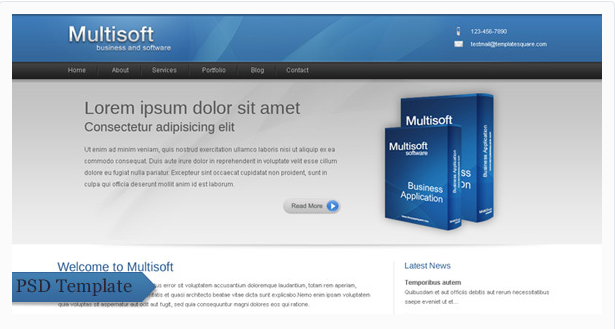 Multisoft is a very clean psd template for business, company, products, software and portfolio. 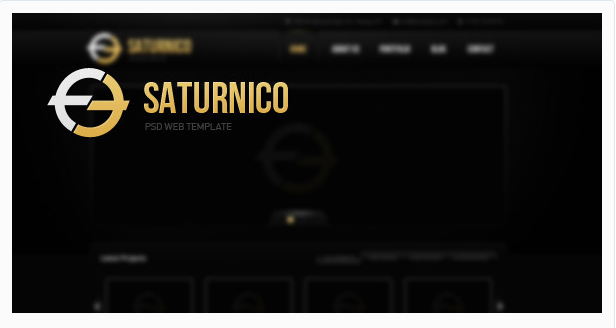 Saturnico is dark designed psd web template. Stylish futuristic and beautiful solution for business and personal web projects. 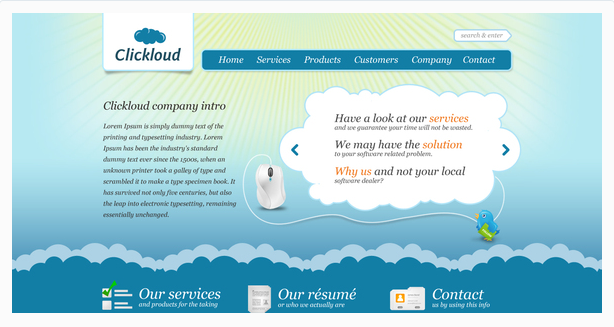 Clickloud is a web 2.0 business software template. It’s mainly directed towards the companies that either produce or administrate web 2.0 software content but it may be used for a variety of other things: company portfolio, personal blog theme etc. 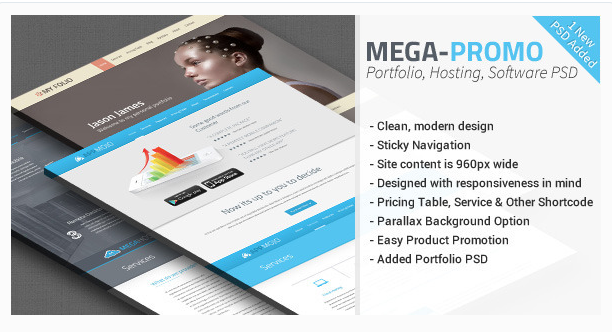 Magnus is a design perfectly suited to showcase a software, a SaaS, or a Web Application. 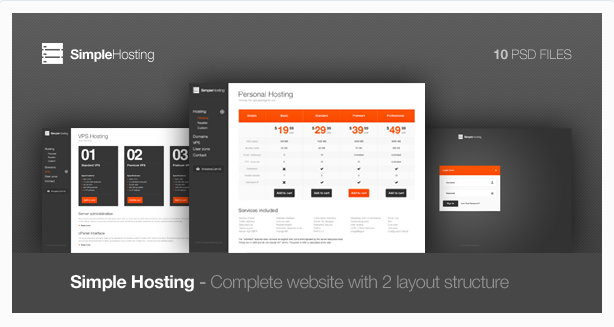 Excellent structured, colored & named PSD file with awesome flexibility for your hosting company. 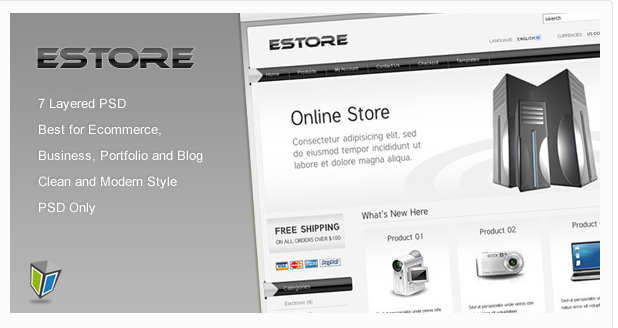 EStore is a clean, modern, web 2.0 style psd template for ecommerce, shopping cart application, business and blog. 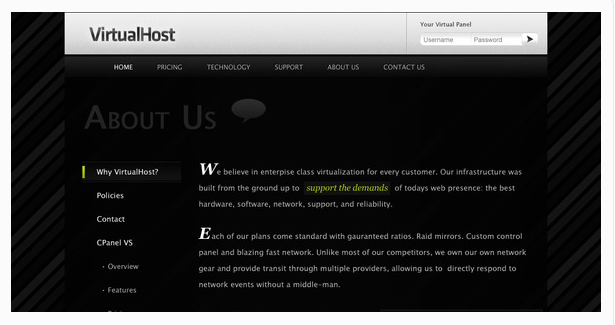 Simple Hosting is a complete hosting website template. This website is good for companies that offer hosting plans, hosting reseller, domains, vps, etc. 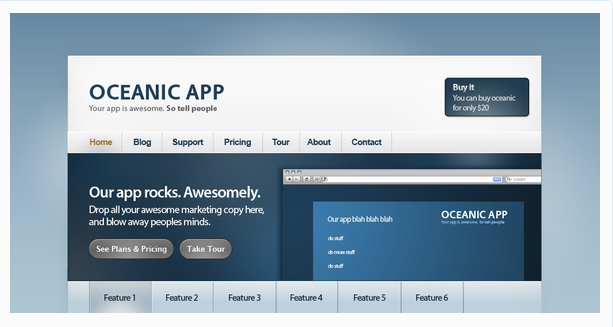 Oceanic, the .PSD template for web / software app developers! 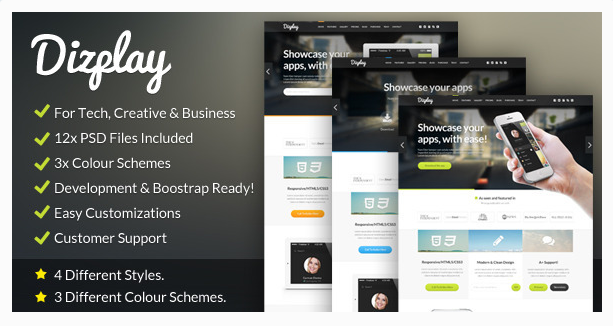 Create a great, professional site to sell your app from quickly. 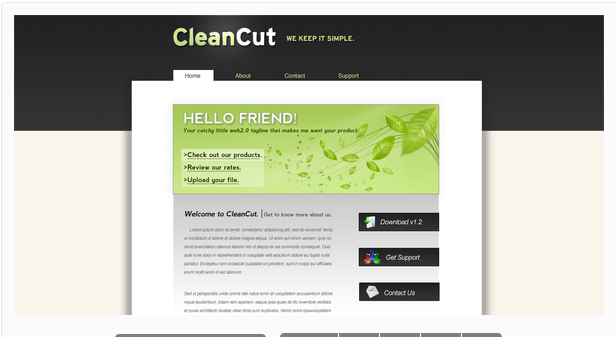 Clean Cut is a clean and modern look great for a software company or corporate theme. 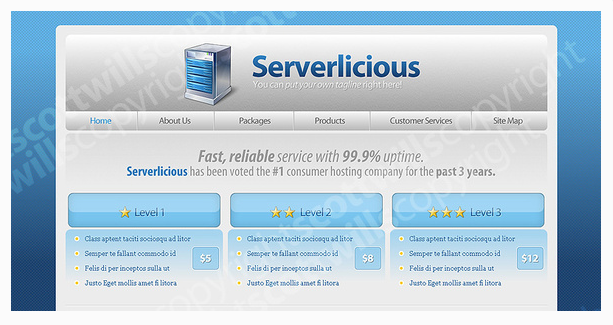 Serverlicious | Web Hosting is Very clean, fresh and professional design. 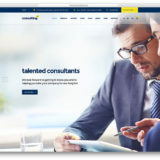 Perfect for a Web Hosting business or any computer-related company. As with all my templates, you can add your own logo, Website name, text or photos.